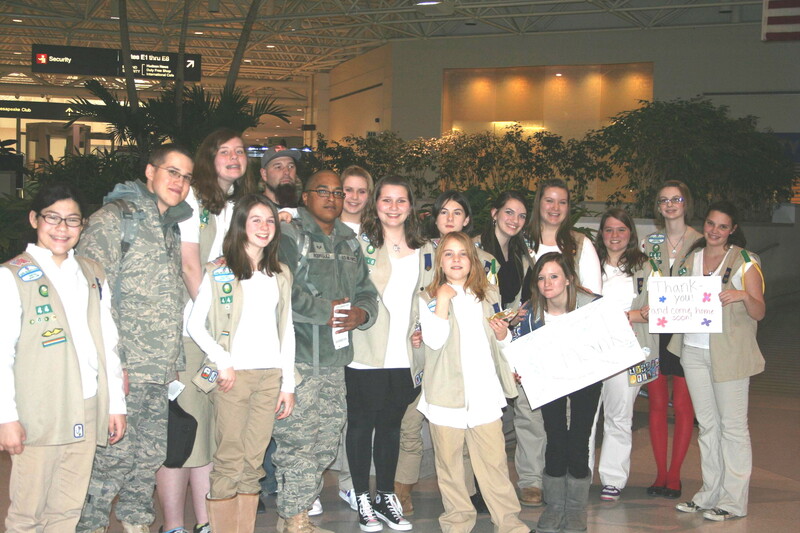 In early January, Troop 446 handed out cookies at the USO Lounge at BWI to soldiers preparing to be deployed. They shared some of their photos and experiences with us . “I had a lot of fun seeing the troops going out made me think how well our country is protected. We were giving hugs, taking pictures, and having conversations…the most awesome day ever!” – Megan H.
“This was a super night, and I loved seeing the smiles on the soldier’s faces. I wish we could do it again sometime.” – Megan M.
“Being able to hand out cookies through Operation US Mint, was a very humbling experience! It really makes you think about the men and women who sacrifice everything to protect our country. It was nice to be able to give back in some way. I also enjoyed seeing the girls from my troop bring a smile to the soldier’s faces. The pictures, hugs, and conversations are memories I hope everyone will cherish! Touching lives and helping others is what scouting is all about. I had the pleasure of being able to talk with a woman who was moving her family to live on base with her husband (a soldier) overseas. She has two small children, carts of luggage, and even the family dog to trek across to another country. Still she stopped for a moment to say thank you and get a box of cookies from the girls. It’s really touching to see what some are willing to do in the name of their country! 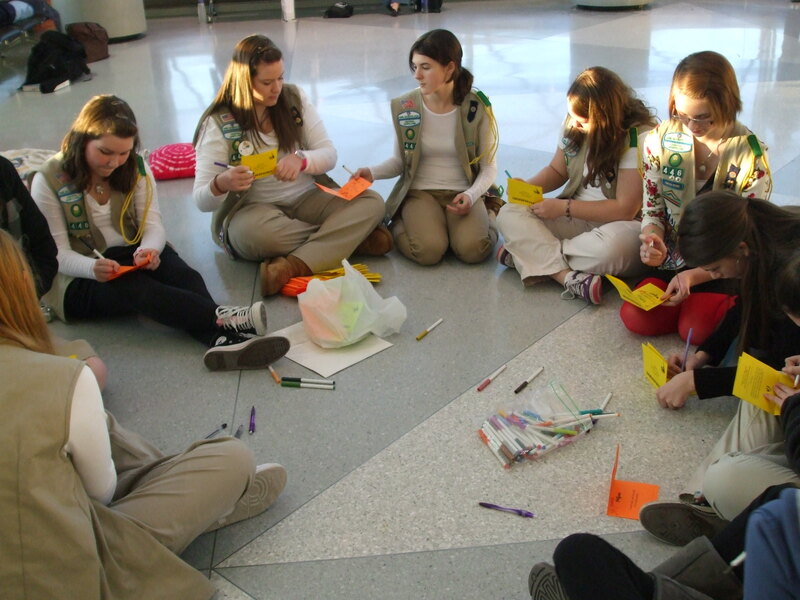 Does your Troop have a Gift of Caring? Have you worked with Operation U.S. Mint? Share your story with us!